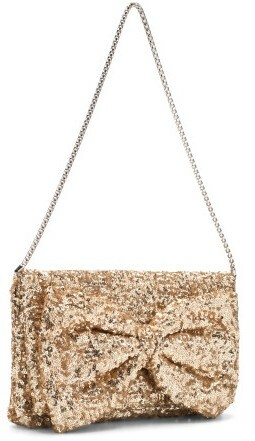 Betsey Johnson 'Bow-tiful' sequin clutch, $126. If you are looking for an evening bag that will make you shine like a star, you can try this Betsey Johnson 'Bow-tiful' sequin clutch that you can also use as a shoulder bag. This is also available in black. Kate Spade 'Callaloo Samira' clutch, $375. This is one of the most versatile clutches you will ever own in your life. It is made of calf skin with snake embossed design and framed with 14 karat gold plated hardware, while the armadillo gold plated snap closure adds a touch of quirkiness. The inside is made of calf skin with dot design and the brand's logo. You can carry it like a regular clutch or you can attach the gold plated metal strap to make it into a mini shoulder bag. Valentino red satin loop bow clutch, $636 at Bluefly. This Valentino clutch reminds me of Christmas presents. Lanvin bag up for grabs! This Lanvin 'Happy' shoulder bag is up for grabs. Hurry, send in your entries. This Lanvin shoulder bag with chain link strap normally sells for $2,445. 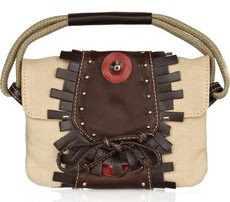 Sonia Rykiel leather embellished canvass bag, $190.50 previously $635 at The Outnet. 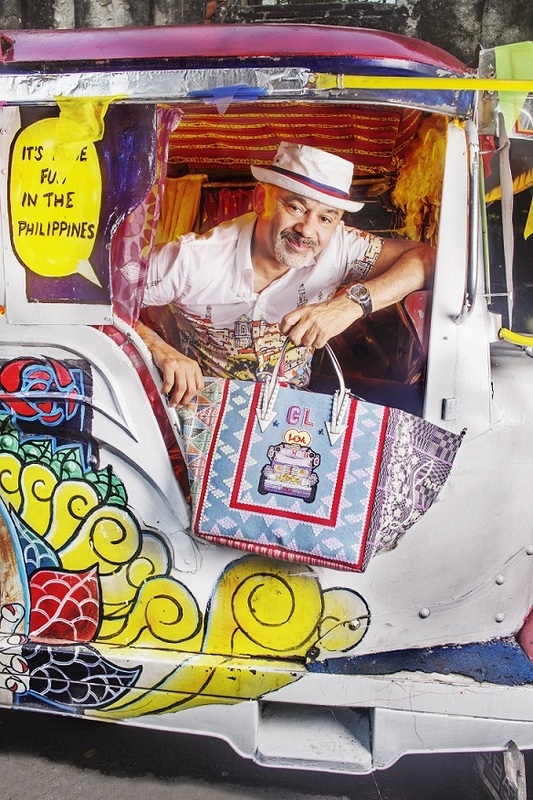 This is just the right bag to bring when you are feeling Bohemian or Safari chic. 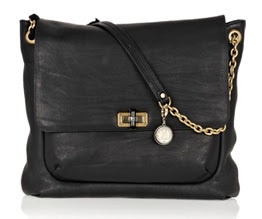 Jessica Simpson 'Snappy' satchel, $98. What's your gift for your mom this Mother's Day?